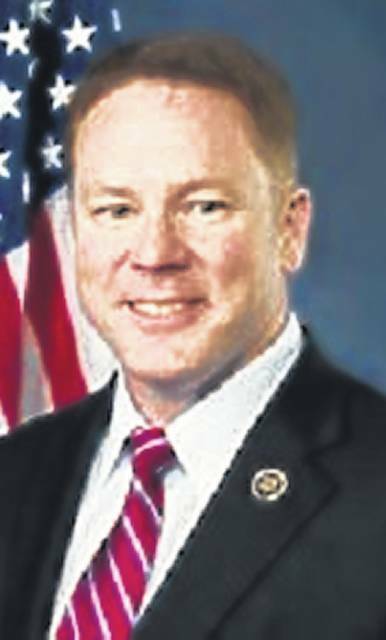 XENIA — Congressman Warren Davidson will be the guest speaker at the Greene County Republican Party Summer Hog Roast Friday, Aug. 17 at the Greene County Fairgrounds Assembly Hall, 120 Fairground Road. The theme for this year’s event is “Jeans & Jewels” which is the suggested attire. Jim Harworth, owner of Harworth Tire and Auto in Xenia, will be serving as Master of Ceremonies. Social hour for the fundraising event begins at 6 p.m. with dinner starting at 7 p.m. followed by Congressman Davidson’s remarks. Congressman Davidson represents Ohio’s 8th Congressional District. He was born and raised in Sidney. Davidson enlisted in the Army after high school and went on to earn an appointment to West Point. He served in the Old Guard, the 75th Ranger Regiment, and the 101st Airborne Division. Davidson earned an MBA from the University of Notre Dame. Davidson sits on the House Financial Services Committee. He has been married to his wife, Lisa, for over 20 years and the couple have two children. Individual tickets are $40 each and can be purchased by mailing a check to Greene County Republican Party, P.O. Box 401, Xenia or you can register via Eventbrite at www.tinyurl.com/yafqldka. RSVP by Aug. 12. There will be a silent auction and a 50/50 drawing to benefit the new headquarters located at 45 E. Main St. For other events and information about the Greene County Republican Party, call 937-474-8798 or visit www.greenecoohiogop.org.